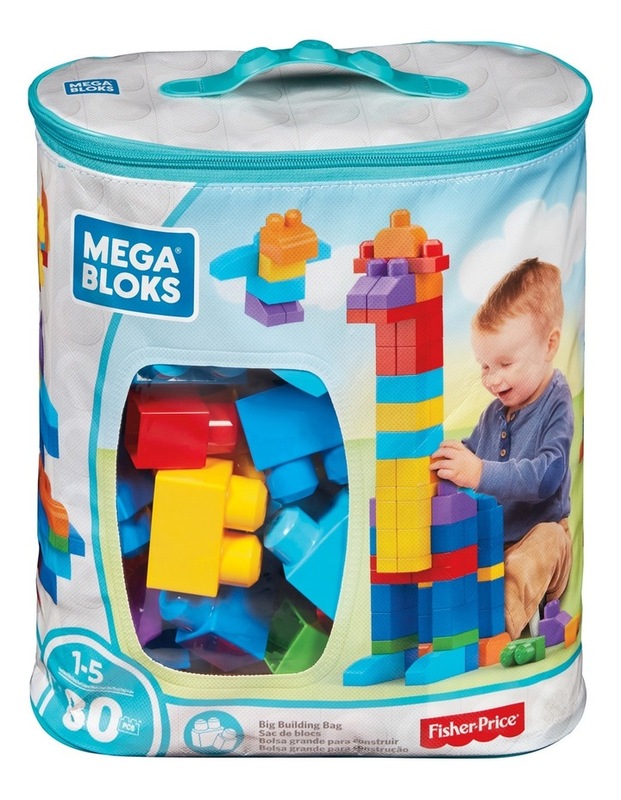 Build and stack for limitless fun with the award-winning First Builders Big Building Bag by Mega Bloks. These bright primary-colored blocks encourage hands-on exploration as children imagine and create. First Builders blocks are big and easy for little fingers to assemble. When playtime is over, zip the blocks up in an eco-friendly bag and stash them in the toy box until the next adventure. Ideal for ages one and up.